"We are in a bad position from the standpoint of defending any lawsuits," said Dr. Robert Brent, a pediatrician at the Alfred I. duPont Hospital for Children in Delaware. "This will be a resource to our very busy plaintiff attorneys in this country." Dr. Bob Chen, head of vaccine safety for the CDC, expressed relief that "given the sensitivity of the information, we have been able to keep it out of the hands of, let's say, less responsible hands." Dr. John Clements, vaccines advisor at the World Health Organization, declared that "perhaps this study should not have been done at all." He added that "the research results have to be handled," warning that the study "will be taken by others and will be used in other ways beyond the control of this group." For Merck and other drug companies, however, the obstacle was money. Thimerosal enables the pharmaceutical industry to package vaccines in vials that contain multiple doses, which require additional protection because they are more easily contaminated by multiple needle entries. The larger vials cost half as much to produce as smaller, single-dose vials, making it cheaper for international agencies to distribute them to impoverished regions at risk of epidemics. Faced with this "cost consideration," Merck ignored Hilleman's warnings, and government officials continued to push more and more thimerosal-based vaccines for children. Before 1989, American preschoolers received 11 vaccinations -- for polio, diphtheria-tetanus-pertussis and measles-mumps-rubella. A decade later, thanks to federal recommendations, children were receiving a total of 22 immunizations by the time they reached first grade. But by that time, the damage was done. Infants who received all their vaccines, plus boosters, by the age of six months were being injected with a total of 187 micrograms of ethylmercury -- a level 40 percent greater than the EPA's limit for daily exposure to methylmercury, a related neurotoxin. Although the vaccine industry insists that ethylmercury poses little danger because it breaks down rapidly and is removed by the body, several studies -- including one published in April by the National Institutes of Health -- suggest that ethylmercury is actually more toxic to developing brains and stays in the brain longer than methylmercury. Under the expanded schedule of vaccinations, multiple shots were often administered on a single day: At two months, when the infant brain is still at a critical stage of development, children routinely received three innoculations that delivered 99 times the approved limit of mercury. Indeed, in the tight circle of scientists who work on vaccines, such conflicts of interest are common. Rep. Burton says that the CDC "routinely allows scientists with blatant conflicts of interest to serve on intellectual advisory committees that make recommendations on new vaccines," even though they have "interests in the products and companies for which they are supposed to be providing unbiased oversight." The House Government Reform Committee discovered that four of the eight CDC advisors who approved guidelines for a rotavirus vaccine "had financial ties to the pharmaceutical companies that were developing different versions of the vaccine." Under pressure from Congress and parents, the Institute of Medicine convened another panel to address continuing concerns about the Vaccine Safety Datalink data-sharing program. In February, the new panel, composed of different scientists, criticized the way the VSD had been used to study vaccine safety, and urged the CDC to make its vaccine database available to the public. At the state level, many officials have also conducted in-depth reviews of thimerosal. While the Institute of Medicine was busy whitewashing the risks, the Iowa Legislature was carefully combing through all of the available scientific and biological data. "After three years of review, I became convinced there was sufficient credible research to show a link between mercury and the increased incidences in autism," state Sen. Ken Veenstra, a Republican who oversaw the investigation, told the magazine Byronchild earlier this year. "The fact that Iowa's 700 percent increase in autism began in the 1990s, right after more and more vaccines were added to the children's vaccine schedules, is solid evidence alone." Last year, Iowa became the first state to ban mercury in vaccines, followed by California. Similar bans are now under consideration in 32 other states. 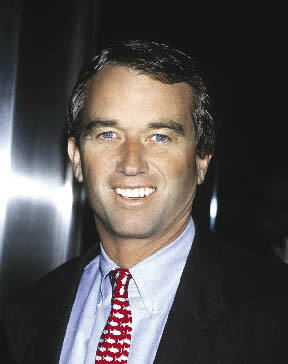 Robert F. Kennedy Jr. is senior attorney for the Natural Resources Defense Council, chief prosecuting attorney for Riverkeeper and president of Waterkeeper Alliance. He is the co-author of The Riverkeepers.